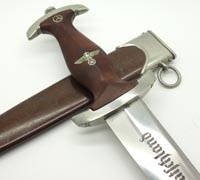 Formed in 1921, the Sturmabteilung (SA) or "Brown Shirts", functioned as the original paramilitary wing of the Nazi Party (NSDAP). 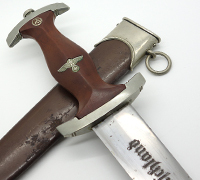 Comprised mostly out of WWI veterans and Freikorps (German volunteer military or paramilitary units), the SA's main function was to provide protection at Nazi rallies and assemblies. 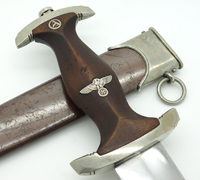 The SA played a critical role in Hitler's rise to power. 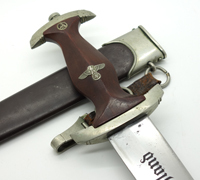 The organization was co-founded by Adolf Hitler and Ernst Rohm, and was later put under Rohm's leadership. 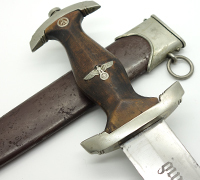 In 1934, Hitler's ordered the "Blood purge" / the dis-empowering of the SA which later became known as the "Night of the Long Knives". 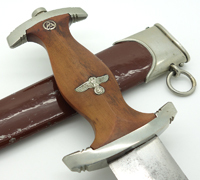 Like most NSDAP branches, the SA wore paramilitary dress and dagger. 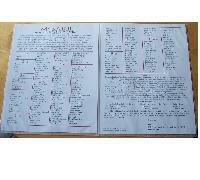 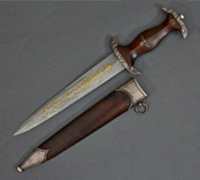 The SA dagger was originally produced in vast quantities by 123 different cottage makers. 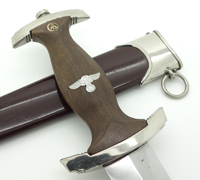 Initially these daggers were made with the highest quality, being produced out of hand-fitted nickel fittings, hardwood grips and brown anodized or "blued" scabbards. 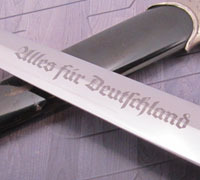 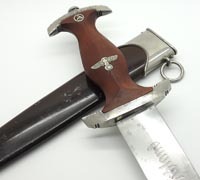 The blades were etched, "Alles f�r Deutschland", or "All for Germany". 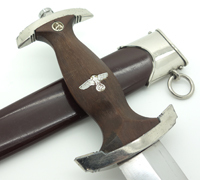 Pre-1935 SA daggers were stamped with the SA group stamp to the reverse of the lower crossguard. 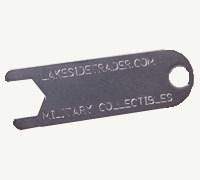 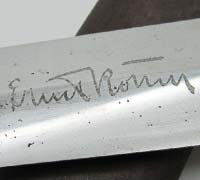 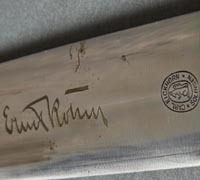 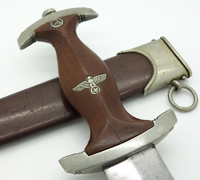 Later examples were RZM marked and used less expensive plated zinc-based fittings with painted scabbards. 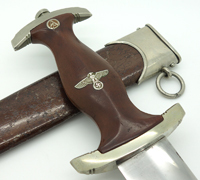 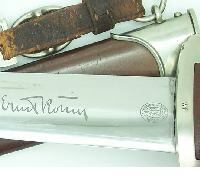 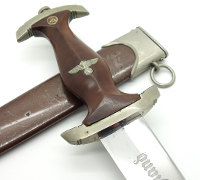 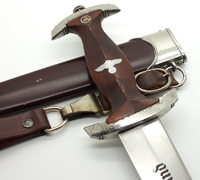 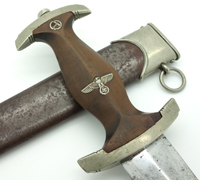 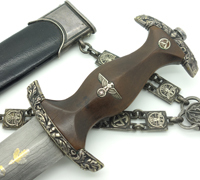 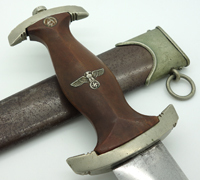 Given the size of the SA we do occasionally see other rarer daggers carried by this branch of service including the SA and NSKK High Leader dagger, the Feldherrnhalle along with some very special presentation pieces. 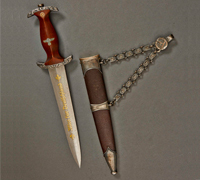 If you would like to learn more about SA daggers we provide a video guide for beginning collectors.